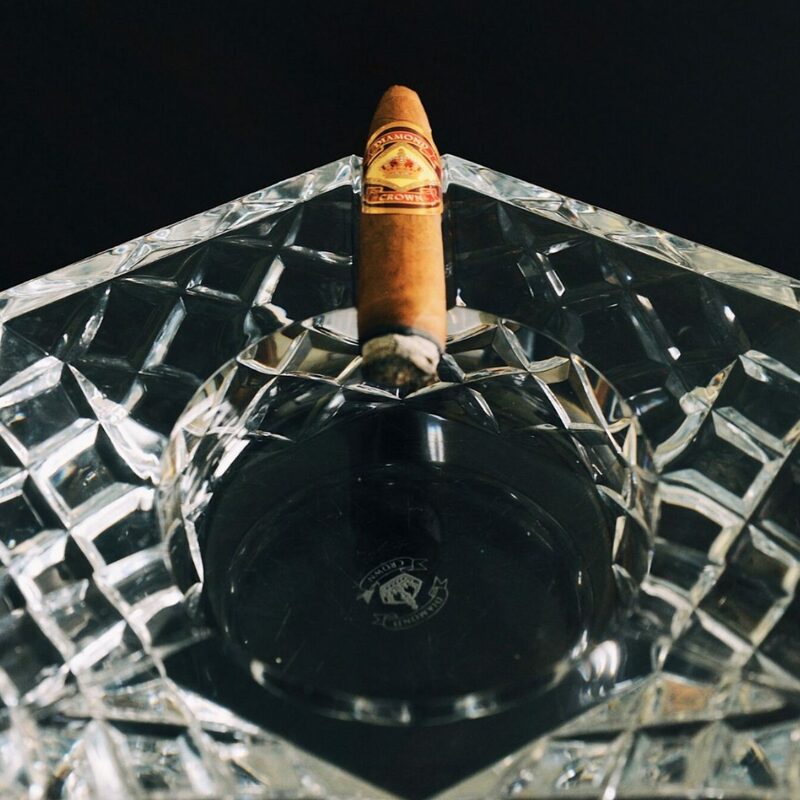 My family’s partnership with the Fuentes began in 1986 with the launch of La Unica, our first cigar handmade at Tabacalera A. Fuente in the Dominican Republic. This was followed by the introduction of Cuesta-Rey and our Diamond Crown cigar brands. In 1990, our partnership deepened with the formation of the joint company now known as Arturo Fuente Cigar Company, which distributes Arturo Fuente cigars in the United States. Because of our close relationship with the Fuentes, my father, Eric Newman, and grandfather, Stanford Newman, would frequently fly down to the Dominican Republic. They went there to meet with Carlos Fuente, Sr., and his son Carlito and to blend and develop new cigars together. When I was nine years old, I convinced my father and grandfather to take me along with them on to see the Fuentes. I still do not know why they agreed to let a nine-year-old tag along, but I absolutely loved the trip and the experience of traveling with my father and grandfather. This first trip was the start of an annual pilgrimage for three generations of Newmans. Over the next decade, my father and grandfather planned their March trip to the Dominican Republic around my school’s spring break schedule so that I could travel with them each year. On the flights from Miami to the Dominican Republic, I remember looking out the window and being amazed at how the color of the water changed from dark blue of the Atlantic Ocean to the beautiful turquoise of the Caribbean. Because the Santiago airport had not yet been built, we flew into the resort town of Puerto Plata. While everyone else on the plane was dressed as if they were destined for the beach, my father and grandfather wore coats and ties. At the airport, we were greeted by Carlito who picked us up in his car and drove us across the mountains to Santiago. As a young kid, I remember the Dominican Republic as a lush, tropical oasis where everything felt foreign. Not only did everyone speak a different language, but the food, music, and even the driving habits were nothing like home. 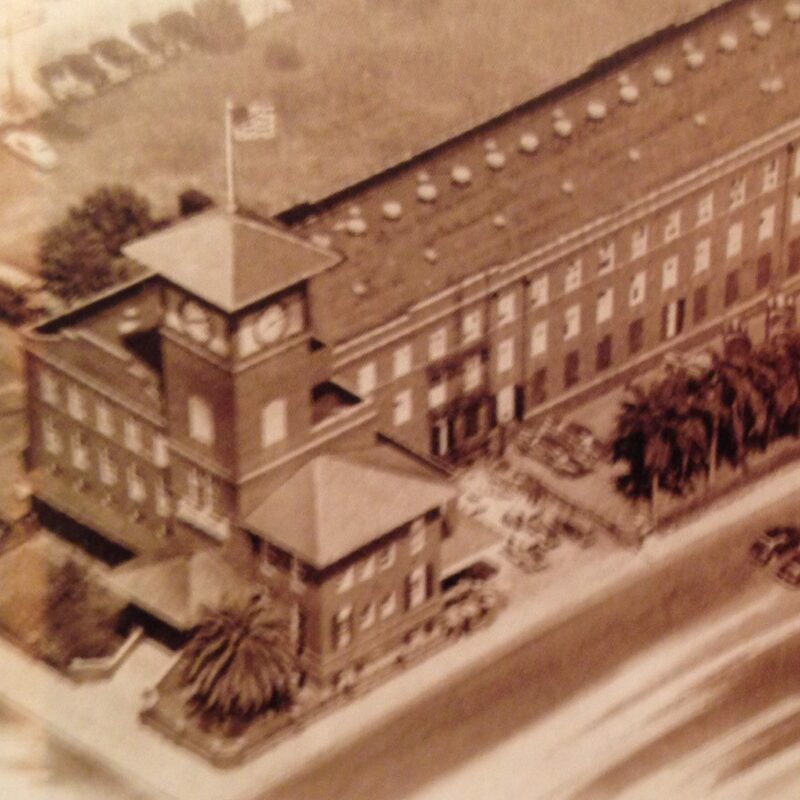 On my first trip, I remember walking into Tabacalera A. Fuente and being surprised at how different the Fuente cigar factory felt from “El Reloj,” my family’s historic cigar factory in Tampa. It was large and bustling and, to a small child, the Fuente factory felt like a maze full of adventure. The bouquet of aromas of the Fuente factory left a strong impression on me. I remember being surprised at how the factory did not have a single smell, but rather different aromas in different rooms due to the various tobaccos being used. More than once, the smell of fermenting tobacco was so overpowering, that I had to run outside to find fresh air. The days were very long on these trips. Carlito would pick us up from the hotel after an early breakfast and we would not return until after a late dinner at night. The hardest part of these trips for me was that Carlos, Carlito, Stanford, and Eric would frequently work through lunch – frequently forgetting to feed me, too. During the day, when the grownups were reviewing spreadsheets that I did not understand, I would often sneak away and wander through the factory on my own. I remember being mesmerized at how the cigar rollers would swiftly roll each cigar, one by one, to the beat of the Dominican merengue playing from the speakers. At least once per trip, I would get lost in the Fuente factory and someone would have to help me find my way to the front office. On my third trip when I was 11 years old, we visited the tobacco farm that would later become known as Chateau de la Fuente. At that point, there was nothing there other than tobacco and barns. This was long before the gazebos, Hemingway House, and other facilities were built. The farm was pretty rugged. 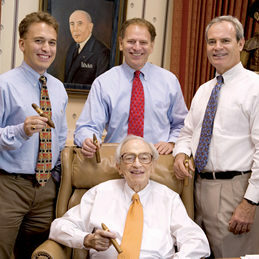 At the end of the day, I remember the adults lighting up a prototype cigar made from special tobacco from the farm. Unfortunately for me, the only refreshments that the adults brought with them were ice-cold Presidente beer and Brugal rum. No one had thought to bring water or something else for me so I had to just sit there until they finished their prototype cigars. 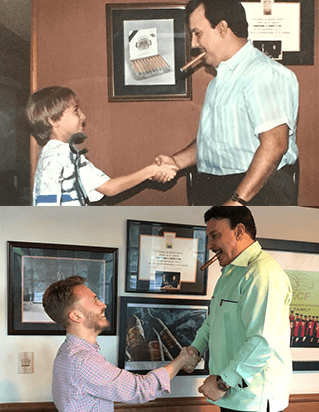 One of the things that sets the Fuente and Newman families apart from other cigar companies is that we are two, four-generation family businesses. Both of our families have been passing the family tradition of handcrafting premium cigars from generation to generation for more than 100 years. When my grandfather passed away in 2006, our three-generation trips to visit the Fuentes in the Dominican Republic ended. Today, however, I am fortunate to be able to continue traveling with my father, Eric, and my uncle, Bobby, to see the Fuentes in the Dominican Republic and our factory in Nicaragua, and to help promote and sell our family’s cigars around the world. “It is very special working in a family business. One my proudest moments in our company was at the RTDA (now IPCPR) trade show in 2005. One afternoon, my father, Stanford, and son, Drew, and I decided to walk around the show. As we passed one booth, I overheard another exhibitor say to someone else, “Wow – there goes three generations!” Hearing this filled me with pride and made me feel very grateful to be able to share our family tradition with my father and my son.” – Eric Newman. 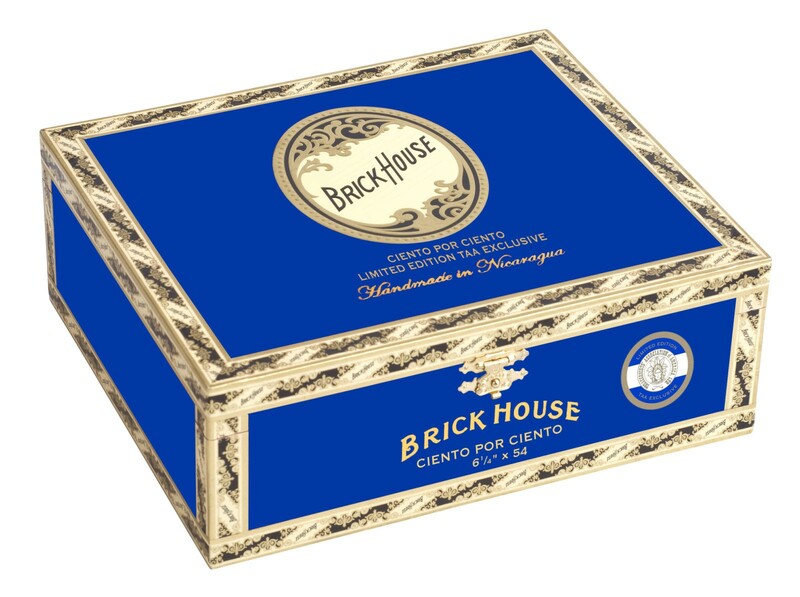 J.C. Newman Cigar Company will release its first Tobacconist Association of America (TAA) exclusive brand, Brick House Ciento por Ciento. Handcrafted in J.C. Newman’s Nicaraguan factory, Puros de Estelí Nicaragua, S.A. (J.C. Newman PENSA), Ciento por Ciento only uses tobaccos grown in the rich, volcanic soils of Nicaragua. It is the first Nicaraguan puro blend in the Brick House line, hence the name, which means 100% in Spanish. The wrapper is a Habana-seed, corojo leaf grown in the Jalapa Valley which encloses binder and filler from three of Nicaragua’s mountainous regions. Production has been limited to 500 boxes and is only available for purchase by TAA members. The cigars will only be available for purchase at the 2019 conference and will ship by the end of May. At that time, a list of retailers where the cigar is available for purchase will be released. About J.C. Newman Cigar Co. Founded in 1895 by Julius Caeser Newman, J.C. Newman Cigar Company is the oldest family-owned premium cigar maker in America. J.C. Newman rolls its El Reloj, Factory Throwouts, and Trader Jacks cigars by hand-operated, vintage cigar machines at its historic cigar factory in Tampa, Florida. It also hand rolls its Brick House, Perla del Mar, El Baton, and Quorum cigars at the J.C. Newman PENSA cigar factory in Estelí, Nicaragua. J.C. Newman’s Diamond Crown, MAXIMUS, Julius Caeser, and Black Diamond cigars are handmade by Tabacalera A. Fuente in the Dominican Republic. 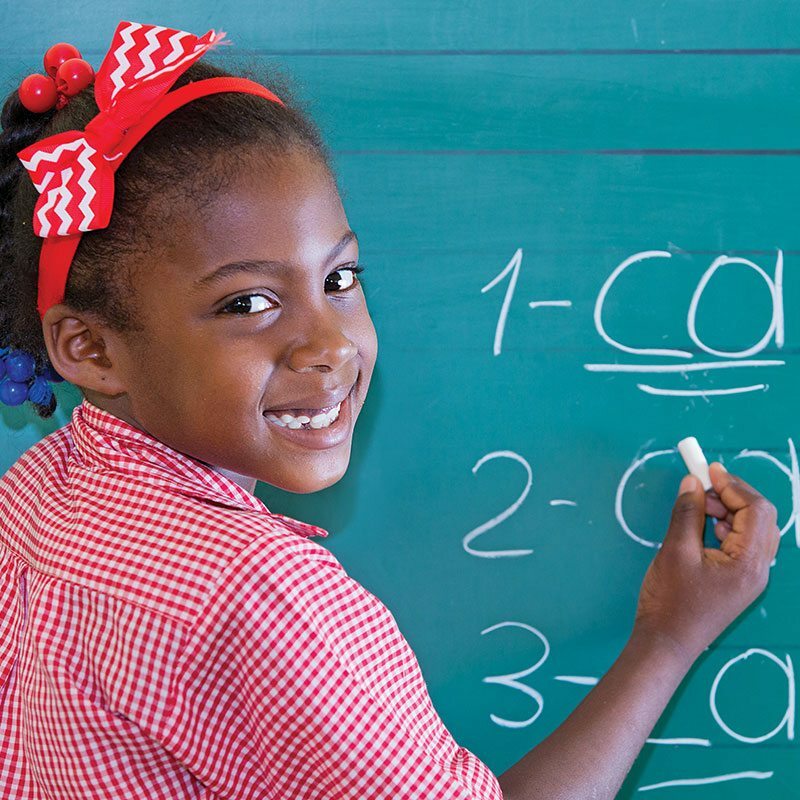 With its longtime partners the Fuente family, the Newmans founded the Cigar Family Charitable Foundation, which supports low-income families in the Dominican Republic with education, health care, vocational training, and clean water. What I love about Brick House Double Connecticut is that it marries classic “Old World” premium cigar tobaccos from Connecticut with bold and flavorful “New World” tobaccos from Nicaragua. For nearly 400 years, farmers have grown premium cigar tobaccos in the Connecticut River Valley outside of Hartford. William Thrall was one of the first settlers in Connecticut shortly after it became a British colony. In the 1640s, he started growing tobacco on his plot of land and began a legacy that has now spanned more than 10 generations. In 1911, his descendant, O.J. Thrall, helped develop the method for growing tobacco under the cloth – what we know as Connecticut Shade – to produce fine, smooth wrapper leaves. We proudly wrap Brick House Double Connecticut with Connecticut Shade grown by the Thrall family, the authentic pioneers of Connecticut Shade. 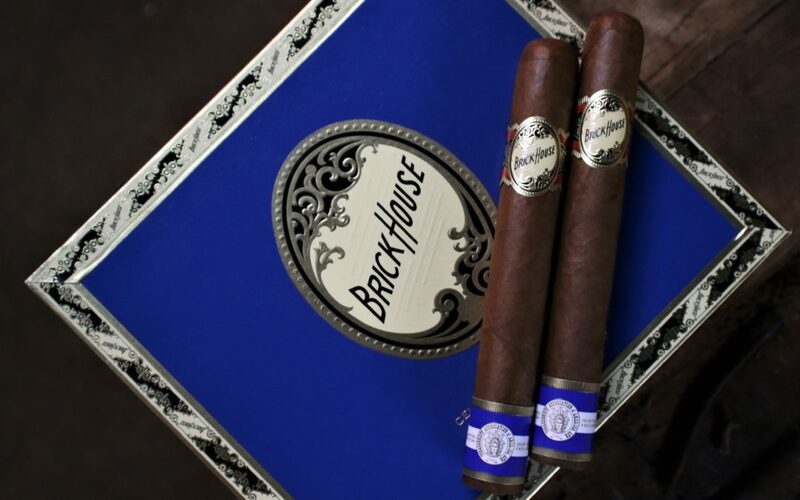 The binder in Brick House Double Connecticut is Connecticut Broadleaf – the most famous premium cigar tobacco grown in Connecticut. Our Broadleaf binders have an equally impressive pedigree. John Foster’s ancestors began farming in Northwestern Connecticut in 1790. More than two centuries later, they are still cultivating the same land. John and his family grow Brick House Double Connecticut’s Broadleaf binder. The point here is that Brick House Double Connecticut contains two of the finest cigar tobaccos in the world. Unlike some other cigars that save money by using so-called “Connecticut” tobaccos that actually are grown in other countries, Brick House Double Connecticut features real, genuine Connecticut Shade and Broadleaf, grown by two long-established American families who have demonstrated a commitment to quality for hundreds of years. 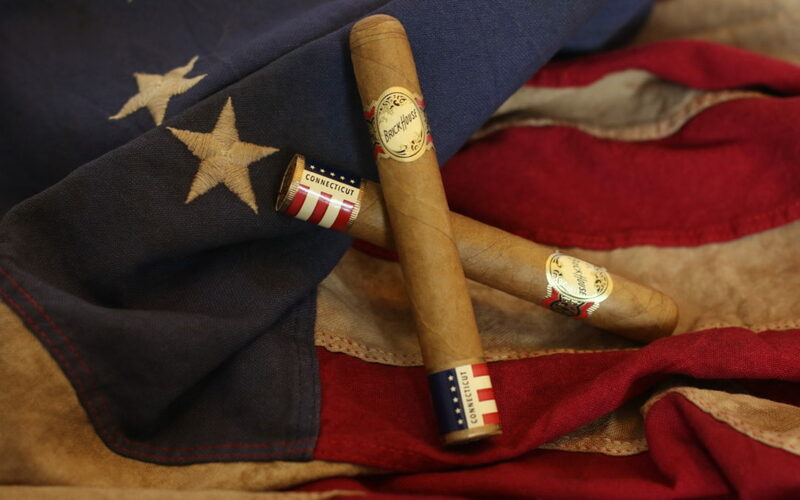 We pair these two outstanding Connecticut tobaccos with a complex and flavorful blend of Nicaraguan filler tobaccos. In contrast to the “Old World” tobaccos grown in Connecticut for centuries, farmers first started planting cigar tobacco in Nicaragua after the Cuban Revolution in the 1960s. This newness can be seen in the bright, bold flavors that make Nicaraguan tobaccos world famous. For Brick House Double Connecticut, we selected a blend of long filler tobaccos grown in three different valleys in northern Nicaragua by three of the finest tobacco-growing family companies: Aganorsa, Oliva, and Perez. We chose this unique blend because these filler leaves compliment each other to create a vibrant bouquet of flavors. To enhance the cigar’s construction, we wrap the filler with a secondary binder from Nicaragua. Unlike others, we age our filler tobaccos, which enhances the taste of the leaves but removes any harshness. My grandfather, Stanford J. Newman, believed that every cigar had to be perfect because if a consumer smoked a flawed one, he may never try that cigar again. Although it is very difficult to make a handmade product like Brick House Double Connecticut perfect every time, perfection is our obsession. First, an immediate supervisor in our rolling room physically inspects every Brick House cigar before itis allowed to leave the cigarmaker’s table. Next, Brick House cigars move to our inspection room where our trained inspectors closely examine each cigar, one by one, again before allowing them to enter our aging rooms. Last, after completing the aging process, a quality control inspector in our packing department re-inspects every Brick House a final time and sorts them by color to ensure a uniform presentation in each box. Handcrafting cigars is a slow and labor-intensive process. We do not take any shortcuts and strive for perfection. The end result is that Brick House Double Connecticut is an outstanding cigar. There are countless cigar brands from Nicaragua. The truth is that our Brick House cigars are of the same quality and caliber as the average $10 Nicaraguan cigar. 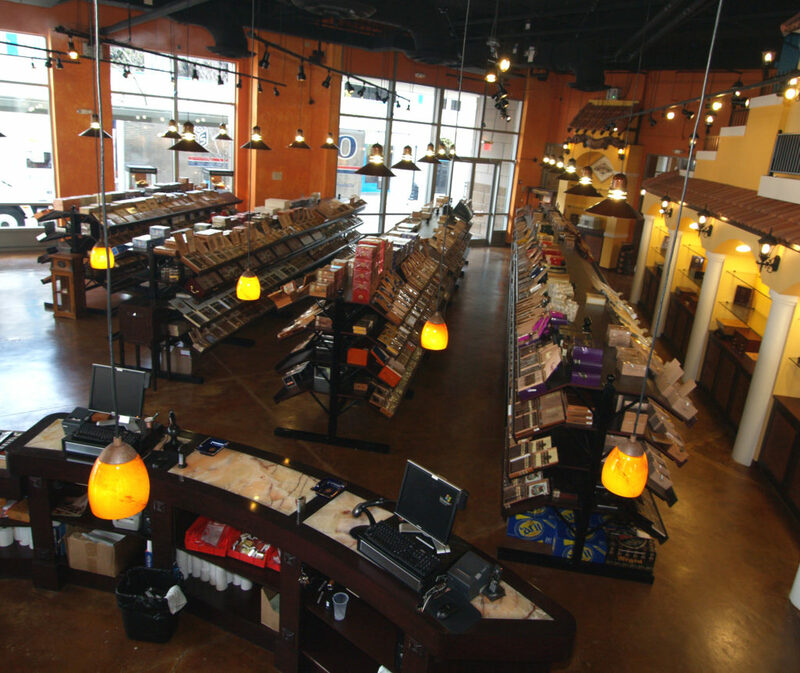 We just happen to sell our Brick House cigars for a lot less so they retail for around $6 instead of $10. First, we own our own factory. Brick House cigars are rolled in our J.C. Newman PENSA factory in Esteli. This means that there is no factory owner, importer, distributor, or other middlemen who have to be paid and make a profit. Second, J.C. Newman PENSA is the second largest cigar factory in Nicaragua. It is very clean, efficient, and well run. Our economies of scale allow us to have lower operating costs than the many smaller Nicaraguan factories. Third, we are an old, long-established family company. Because we have been handcrafting cigars for four generations and 123 years, we have lower profit margins than most of our competitors. Together, this allows us to sell Brick House for a fraction of the cost of its Nicaraguan peers, making Brick House an outstanding value for your customers. From the highest quality tobaccos to its superior construction to its affordable price, it is no secret why Brick House Double Connecticut is our family’s hottest-selling new cigar brand in 100 years. If you are not featuring Brick House Double Connecticut in your humidor, you are missing out on one of the finest and most successful new cigars in the world. 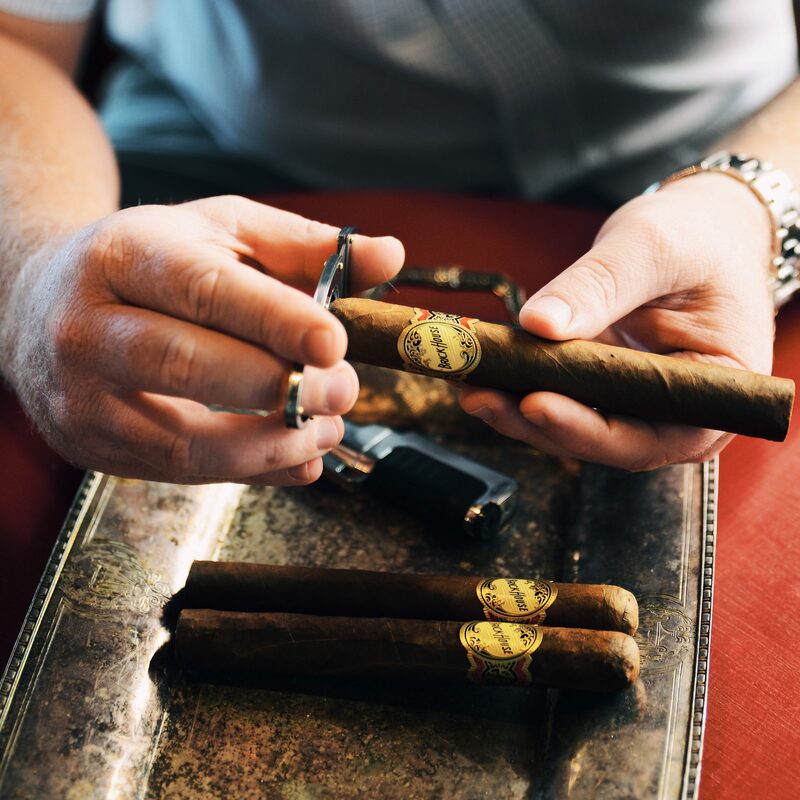 We all know that premium cigars are entirely handcrafted: A skilled artisan takes naturally fermented and aged tobacco leaves and rolls them into beautiful, luxurious premium cigars. Hand cigar making is an old-world tradition that has not changed. Today, we hand roll our cigars just like my great-grandfather did a century ago. Premium cigars, however, are not our only handcrafted product. All of our Diamond Crown and Craftsman’s Bench humidors and cigar accessories are also handmade as well. Each one is constructed individually, one at a time, by hand, with the same care and dedication as a premium, handmade cigar. My uncle, Bobby Newman, and I recently visited the factories that hand craft our Diamond Crown and Craftsman’s Bench humidors and cigar accessories. As a four-generation, family business, we are personally invested in our products and are regularly present in all of our factories to ensure that our products consistently meet our family’s high standards of quality. First, craftsmen assemble natural wood to form a six-sided box. There is no lid yet – the humidor is simply a box that is fully enclosed on all six sides. After passing the first of four quality control inspections, the humidor receives its first coat of varnish. It is then left to rest and dry for 24 hours. This process is repeated, again and again, 14 times. In total, it takes two weeks just to apply the gorgeous and luxurious high gloss finish to a single humidor. After the second inspector carefully inspects the finish, a craftsman carefully cuts the lid is into the humidor, installs top quality brass hardware, and lines the humidor with genuine Spanish cedar. The third inspector checks the alignment of each lid and each humidor’s seal before a craftsman carefully cleans and hand polishes its exterior. He then stamps the Diamond Crown logo on the humidor. Lastly, the humidor is wrapped in a felt bag for protection and placed in a luxurious presentation box before the fourth inspector examines the package one final time and allows it to leave the factory. Other companies make humidor lids and bottoms separately in an assembly-line fashion in order to save money. We do not do this. Instead, we fully finish a six-sided box before cutting the lid in order to ensure that the wood grains of the top and bottom of each humidor match and that each humidor’s seal is perfect. Working slowly and meticulously, it takes nearly a month to make a Diamond Crown humidor. Because of the natural variations in wood grains, no two Diamond Crown humidors are the same. Our Diamond Crown luxury leather cigar cases are handcrafted by master artisans on the northern coast of Spain near the French border. These craftsmen are continuing a centuries-old tradition of hand-making high-quality leather goods. The process starts with calfskins that are hand-selected for our Diamond Crown leather cigar cases. We use hides from young cows because they are softer and more supple. They are also lighter while still very durable. We naturally tan the leather using vegetable dyes. This is an organic, environmentally friendly process that dates back to 6000 BCE. Artisans use bark and other vegetable tannins to naturally color the leather. Vegetable tanning highlights the natural grains of the leather and allows it to develop a natural patina over time. A craftsman next cuts the necessary pieces for each cigar case from the same hide in a way that accentuates the natural grain of the leather. All of the pieces for each case are cut from the same hide to ensure that everything matches. Using old-world tools, the craftsman then hand assembles the cigar case and adds a soft lining. Once assembled, the case is soaked in water so that it becomes pliable. Then, the craftsman uses molds from ash wood and hand tools to form each case into the proper shape to protect handmade cigars. This is a very slow and complex process, requiring tremendous skill and experience. After each case is dried, it is finally hand polished and finished to give it a bright shine before being carefully inspected and placed in felt bags and a luxurious gift box. This commitment to quality and old-world tradition is why there are no finer leather cigar cases on the market than our Diamond Crown. Similarly, each of our Craftsman’s Bench cigar accessories is handcrafted. 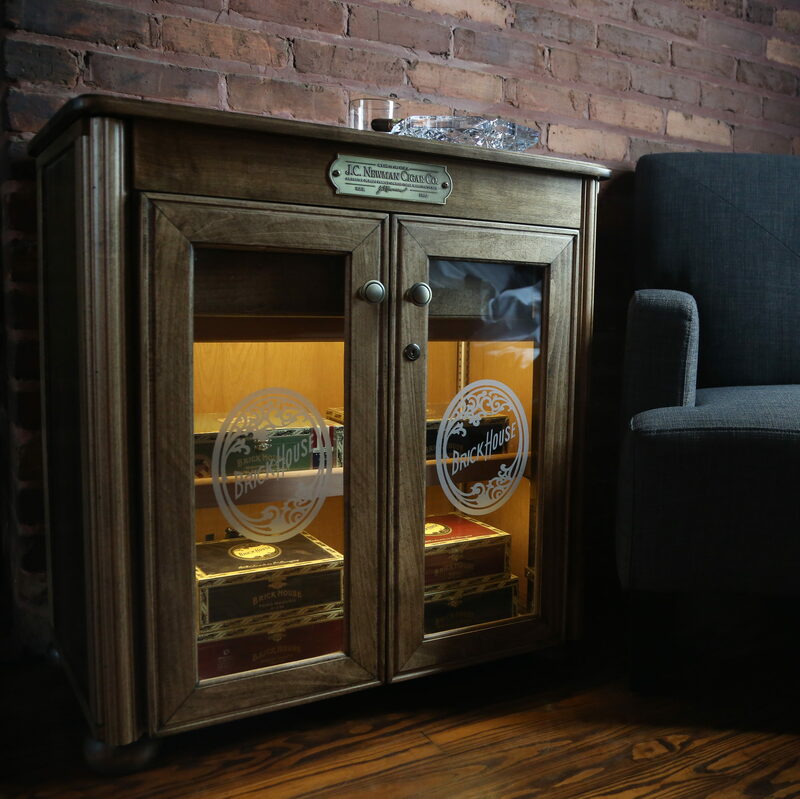 Our all natural wood humidors are built by hand, piece by piece. 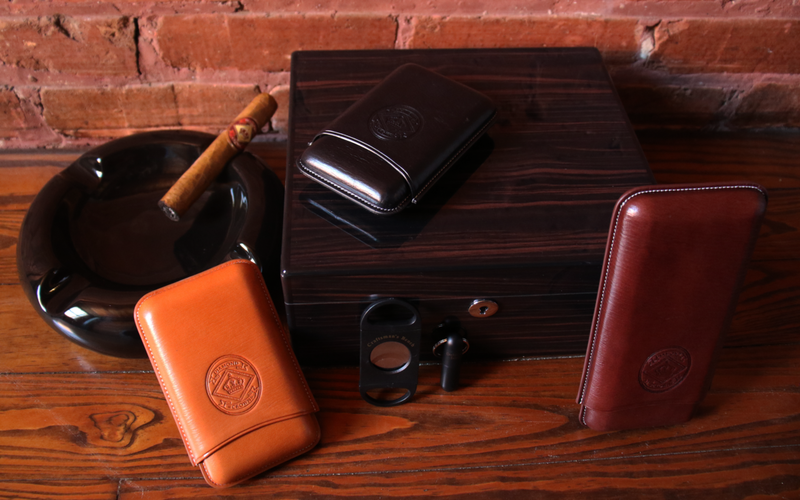 Our cigar cases are made from genuine leather and are cut and assembled by hand. Even with our cigar cutters, each blade is hand polished and then hand assembled, and inspected by hand before being branded with our logo. The main difference with our Craftsman’s Bench humidors and cigar accessories is that we use value-priced components and employ economies of scale to deliver more affordable products than our Diamond Crown luxury humidors and cigar accessories. Our J.C. Newman PENSA cigar factory in Estelí, Nicaragua is a beautiful, large, sprawling complex on a hill along the western edge of town. As the second largest cigar factory Nicaragua, we roll 100,000 cigars by hand there each day. 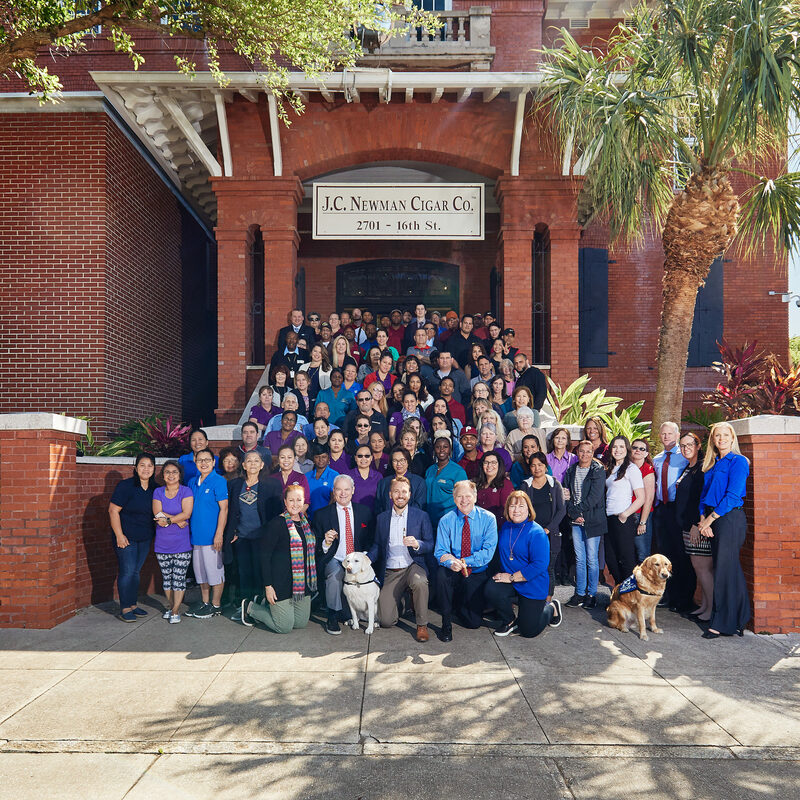 J.C. Newman PENSA is large, clean, and efficient. I love visiting our factory and working alongside our wonderful and dedicated team. When I arrive at J.C. Newman PENSA, I think of my grandfather’s words and head to two places first: our tobacco warehouse and cigar inspection room. Because you cannot make quality cigars without quality tobacco, I am obsessed with checking on our tobacco inventory. I want to see the bales aging in our warehouse, and I want to know if our supervisor, Danilo Romero, has any concerns. After seeing our premium cigar tobaccos, I then visit our inspection room. I want to see the cigars that our quality control inspectors are examining – not only the ones that have passed inspection, but also the cigars that have failed inspection. I talk with our inspectors about what they are looking for and any trends they are seeing. Spending time here is very important to me because I want to make sure that our very high quality control standards have not wavered. As a handcrafted, natural product, we all know that cigars are not always perfect. Many of our competitors sell their cigar rejects in bundles. Those bundled cigars have failed inspection. Quorum is very different. 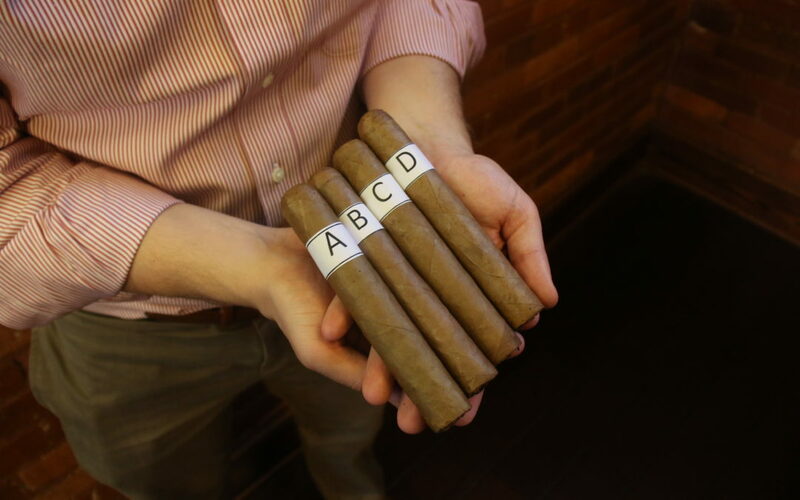 Our Quorum bundles only contain cigars that have passed our rigorous, four-step quality control process. Even a small cosmetic flaw that is barely noticeable will cause a Quorum to be rejected. While many of our competitors’ bundles are rejects, we want our Quorum cigars to be perfect. The reason why Quorum is the top-selling cigar from Nicaragua is simple: its high quality and low price make it the best value of any cigar on the market. First, we check Quorum bunches in a Drawmaster, which measures the draw using a magnehelic gauge. Any bunch that is exceeds 50% resistance is rejected. Second, an immediate supervisor in our rolling room physically inspects every Quroum cigar before he allows it to leave the cigar maker’s table. Next, Quorum cigars move to our inspection room where our dozen trained inspectors closely examine each cigar, one by one, again. Lastly, after completing the aging process, a final quality control inspector in our packing department inspects every Quorum again and sorts them by color to ensure a uniform presentation in each bundle. At any point during this process, if an inspector discovers anything from a small tear in the wrapper, to a cap that is slightly off center, to a soft foot, the cigar is immediately rejected. Period. Throughout J.C. Newman PENSA, we track all cigars using barcodes and scanners, enabling us to hold the rollers, bunchers, and supervisors accountable for every deficient cigar. When you sell a Quorum cigar, we want you to have complete confidence that the cigar will be perfect – every time. Why Show Off Our Quorum Rejects? The featured image in this post shows 4 Quorum cigars, all of which failed inspection. The best way to sell a product is to talk about all of the things that make it wonderful and attractive. I want you and your customers to buy more Quorum cigars. So why I am showing you our Quorum rejects? The reason is simple: because you will never see these bad cigars in your store. Our rigorous, four-step quality control process prevents them from reaching shelves. I am telling about our rejects because I want you to have full confidence in Quorum. As a 124-year old, four-generation family business, my family and I personally stand behind all of our products. We are obsessed with the quality of our Quorum cigars so that you and your customers never have to worry about them.